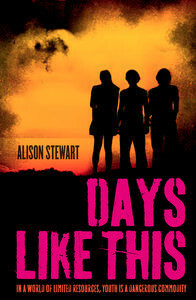 Today I'm pleased to welcome Alison Stewart, author of the newly published book, Day's Like This. Days Like This is a Dystopian Young adult novel set in Sydney where the Committee has walled in the privileged, leaving the rest of the people outside to suffer the effects the "warming" has caused. But Lily finds being inside the walled area is more like a prison than a privilege and longs to be free of the ruthless Committee and the Blacktroopers. Thanks for taking the time out to answer my questions Alison. 1. Where did the idea for Days Like This come from? Some years ago I was seeing a lot of media reports about Gen Y’s fury at baby boomers – how the boomers had it so lucky, how they were hogging the good jobs, how their greed was wrecking the world. I thought what if we lived in a world where that anger turned to violence. What would happen then - maybe repression of younger people, removal of benefits and education, restriction of movement? Days Like This started with the idea that the social issues of today might develop into the dystopian world of tomorrow: an environmentally devastated world, where resources are scarce, where power is in the hands of a few people who exploit their own children and who become so arrogant they seek immortality. 2. What was the easiest and hardest part of writing Days Like This? The easiest part was thinking about the idea and reading up on issues that related to my themes – stories about social unrest, environmental chaos, global warming. The hardest part was having people pick holes in it once it was finished; changing it from an adult to a YA book. And then having to edit and edit until I wanted to screech! And did, occasionally. 3. Was becoming a published author how you expected it to be? Any surprises? I thought once I had a book published, I’d be content forever and die happy. Unfortunately, human nature means that you are constantly looking to the future, wondering why your book hasn’t become a world-beating bestseller, wondering if anyone wants it for a film, wondering what you’re going to write next, wondering if anyone’s going to like what you next write because this is such a subjective area. I once thought that I couldn’t bear it if I never got my writing published. Now I have a couple of unpublished manuscripts sitting in the bottom drawer and it doesn’t seem like the end of the world. 4. Where do you do most of your writing? I used to write longhand sitting on the sofa or on my bed before putting it in to the computer to begin the editing process. Now I tend to write directly onto the computer in a tiny room that used to be my baby son’s bedroom. It still has the Beatrix Potter prints on the wall, the kid curtains and the luminous star mobiles! And the cow candle he once gave me with its weird, lazy eye. I’m embarrassed to include a photo – oh what the heck, here it is in all its scruffy glory. Who says writers can’t be slobs? 5. What routines/quirky habits do you have for when and how you write? I have absolutely no routine at all; it’s fantastic! I got used to writing in chaos when I worked as a full-time journalist. The newsroom was always in turmoil and people always wanted to have a chat! So I tend to work when I feel like it – that could be late at night or first thing – but only after my cappuccino! 6. What keeps you writing? I love writing. It’s a way of trying to make sense of things. I like to think about “what if?” That’s why I like dystopian fiction. It lets you address fairly confronting issues like why people behave the way their do, what motivates them – greed, anger, money, jealousy, fear. It’s a way of trying to work out what we value about ourselves and the world. Thinking about food. No, seriously, probably reading, planning travel, spending time with my friends, my husband Rob and my adult “children”, Angus and Georgia and her boyfriend Lachlan, though only Angus, who’s at uni, lives with us now. 8. Any Future projects you would like to share with us? 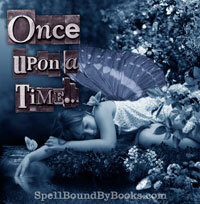 I’m working on a “childhood memoir” called Cold Stone Soup which is almost finished. It’s about growing up under apartheid in South Africa. Like most other privileged white children of the times, I was completely unaware of what was going on, but gradually I, like many others, woke up to the immorality of the system. I’d also love to write a loose “sequel” to Days Like This but the story would be about the next generation - Lily and Kieran’s children and their contemporaries – and the world they’ve inherited. Because, sadly, people never seem to learn from their mistakes! 9. Is there a question you have always wanted to be asked but haven’t? What would your answer be? Your question 11, except with food - which seven foods would I take to a desert island? Avocados, sourdough bread, feta cheese, garlic, lemons (to go with the fish I’d catch and also because I’d like to keep my teeth), broccoli (yes, I know, weird), and dark chocolate. 10. 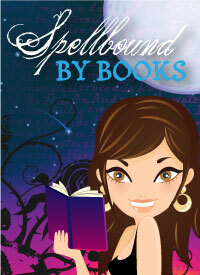 Are there any tips and advice you would like to share with aspiring writers? Don’t be afraid to write and keep writing, but also don’t be afraid to edit. Don’t be put off by rejection – easier said than done! But remember, some idiot rejected J.K. Rowling, among many other good writers. It goes without saying that you should read widely and when you come across something you love, take note of how the author has achieved this. 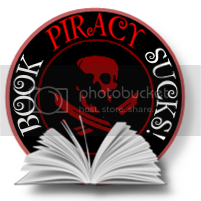 And put your writing out there – in blogs, writing groups, writing competitions. There’s a lot of luck and you have to be in it to win it, as they say! 11. And last, you’re stuck on a deserted island. Which character from your book would you have with you and why? Hmm, certainly not Max. Probably Daniel because he’s smart, a bit feisty, interested in the world around him, so maybe up for a good conversation. Also, he likes feta cheese and avocados.